2017 Chevrolet Silverado 2500HD 4WD Crew Cab LT Z71, V8, Turbo Diesel, 6.6 Liter, AUTO. Our service department installed a Lift, New Fuel Gripper M/T tires, Chrome Fuel Wheels, fresh service and a full inspection. Inside you will find black cloth interior, fold down center console, O.E. touch screen interface, AM/FM SAT radio, CD Player, WiFi, digital dual zone climate control, steering wheel tilt, steering wheel controls, Cruise control, digital vehicle information center on dash, auto headlights, fog lights, tow package, power mirrors, power windows, power door locks, backup camera and more! 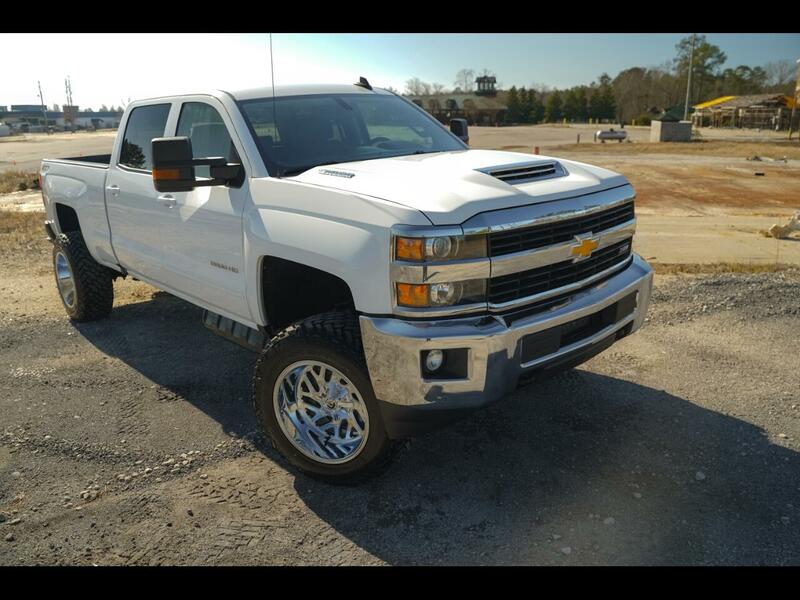 If you want to know more about this lifted DURAMAX or any of our inventory we have available, give us a call 803-808-5235 OR stop by and take a test drive today! WELCOME to Golden Motors! Are you looking for a lifted truck in the Irmo, Lexington or Columbia, SC area? Golden Motors has the largest selection of lifted trucks and SUVs in the South East! With an inventory filled with some of the best looking lifted trucks and lifted SUVs, you will be amazed when you step onto Golden Motors Lot! Golden Motors offers suspension lifts, oversize mud tires and unbelievable wheel choices and so much more! Visit Golden Motors online at www.goldenmotorsonline.com to see more pictures of this vehicle and our other lifted trucks, or call us at 803-808-5235 today to schedule your test drive.